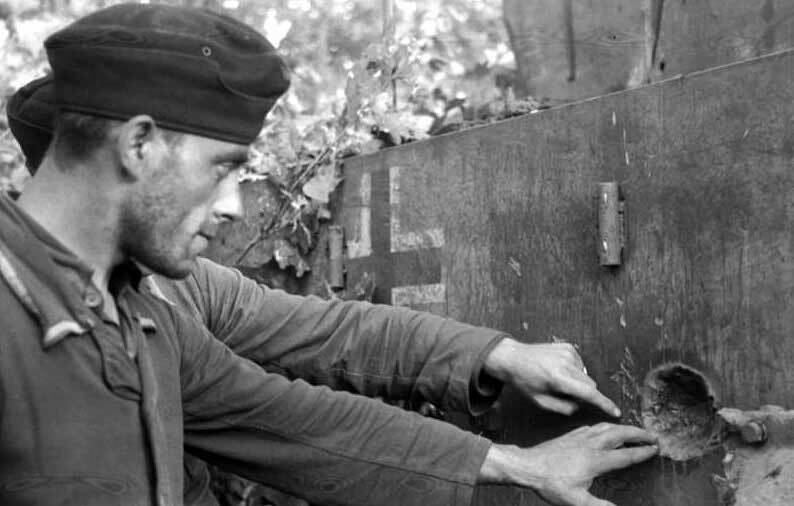 Two German soldiers are watching the side of the heavy tank Panzer VI “Tiger I” hit by a Russian shell. The 80 mm thick armour was not penetrated. The photo was probably taken in June 1943, before the beginning of the attack in the Kursk region (we wrote about the battle).